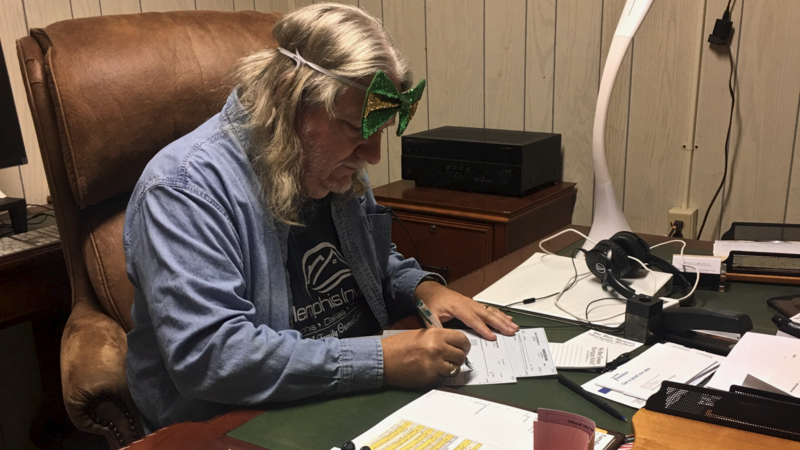 Here I am paying bills at Christmas time. You can see we moved into our new offices in Cameron before doing the remodel. I promised I would talk about the mistakes I make on this journey as well as the successes. As I look at the end of another year, it’s time to come clean about one of the mistakes. I never understood the phrase “Penny wise, pound foolish” when I was going up. Half of the phrase was about a coin. The other half was about…”a pound of pennies?” I’m ashamed of how long it took me to associate the second half of the phrase with the British currency. And that’s the type of mistake I’m talking about here. The monetary one, not the linguistic one. This unicorn cake before the smoothing, final touches (and horn) for a very sweet little girl’s birthday party. That is the old Travis office in the background. The supplies were brought to me, and the time and effort were my gift. 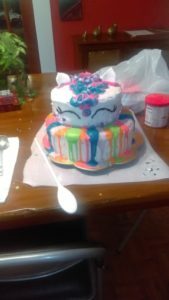 There was a very happy little girl with this. Recently I had a long conversation with someone I love very much. I will protect their identity here, but they inspired this blog. One of the things we talked about is just going for it. I think we often times get caught up in the reasons not to do/try new things in business and our careers, and not to step out of our comfort zones. We don’t have time, we don’t have the money/resources. We convince ourselves of failure before we have even tried. Remember, failure is not actually a real thing. You don’t fail, you find ways something didn’t work. Imagine if any of our inventors and innovators had just given up the first, second, or thirtieth time something didn’t work. Imagine your doctor saying, “Well, I ran one test and it didn’t tell me what I need to know. I’d rather not risk another test not being the correct one, so you should just go on home and hope for the best.” It would probably incite a lot of not great feelings in you and make you want to use colorful language. 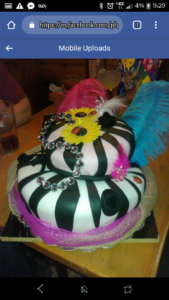 Another birthday cake that was so completely and totally out of my comfort zone! But I did it. That’s what we do to ourselves when we decide that we can’t do something though. “I can’t start my own business. What if I’m a failure?” If you want to give the term “failure” any power to hold you back, consider this! If you do in fact “fail,” you will be among such people as Benjamin Franklin, and Alexander Graham Bell just to name a couple. I have a family member who is terminally ill right now. I’ve heard at length about all of the things they wish they would have done, but were afraid they’d fail. They think that fear of failure is silly now, as they think back over their life. Life is fleeting. I think when we can see that end coming, failure really does lose all of its meaning. I think that is the point when some of us finally realize that being afraid of failure is one of the greatest disservices you can do to yourself. Imagine if you could live like today might be your last. Failure would have no meaning anymore. Homemade candy coated pecans for Christmas 2018. They didn’t last long. Man were they good!! In Lee’s last blog, he talks about finding your why. Why do you want to do whatever it is that you want to do? I want to have a bakery part time in the future. My why on that is that when I bake, I feel close to my grandmothers and Mom who are not here anymore. I get a lot of joy from it, and I love experimenting and coming up with new things in the kitchen. Not to worry, I have no plans to leave the Hermits, but I plan to run the bakery on the side. Right now, I’m getting all of my ducks in a row to move forward. Sometimes getting going takes a while, but that’s okay, too. Until I changed my mindset about all the ways I could fail at it, I couldn’t move forward and actually give myself a fair chance. Now that I know I will not be facing failure, I know that when times get tough I will find a way through it. I will not fail at it. I may have to adjust things from time to time to make it successful, but that doesn’t mean that I failed at anything. Starting that bakery is certainly not in my comfort zone, but that doesn’t even matter anymore. What matters is that I remember the dreaded word “failure” only has the power I give it. I choose to give it none. This is just another way of saying, “Find your Why!” Your Why will get you through the hard times. Some time ago, I started making inspirational slides for my computer desktop. While on vacation this weekend, Sue Ann and I came across a humorous sign at a tourist shop. We bought the sign…twice. But that wasn’t enough for me. I took an image of our dog Harvey and placed the text on if for my inspirational desktop rotation. The slide itself is the graphic for this post. 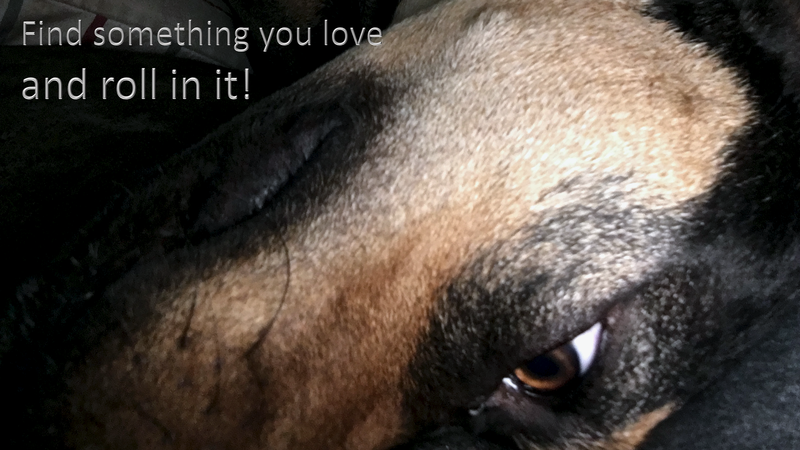 Dogs have fierce concentration and focus. They also love strong smells. 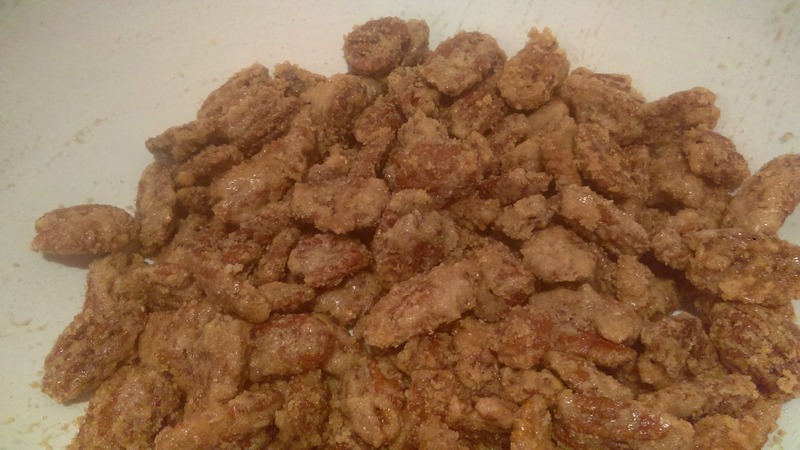 Don’t get me started on wild hog droppings…. A good business leader has to exhibit these same qualities, although hopefully with less malodorous drivers. We have to find something we love and devote our full attention to it. It has to become a key driver of our behaviors. In dog terms, we have to roll in it. If we can’t give our businesses that level of devotion, we are in the wrong business. Of course, I forgot to take a picture of the front exterior of the building in question. 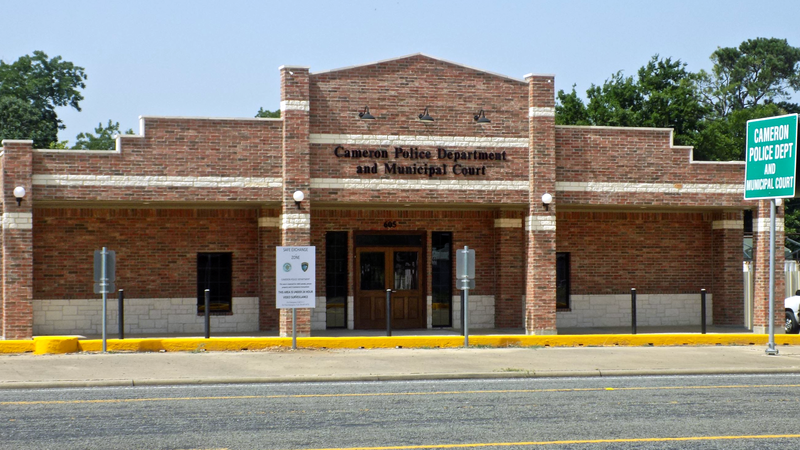 So here is a picture from Cameron.net of the fancy new PD HQ. This is a good reason for moving out of an old building with years of deferred maintenance. Don’t worry. I wasn’t incarcerated. This post is actually another in our “How Would You Use This Building” series. 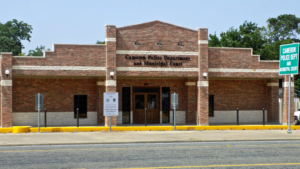 The Cameron city manager, Rhett Parker, invited me to tour a wonderful old building that had formerly housed the Cameron Municipal Court, the Cameron Police Department, and the Cameron city jail. Even the hallway fits with the theme. 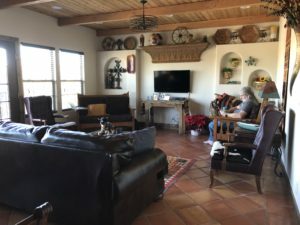 Last time we talked about how important location can be for a vacation rental property, both from a proximity to the owner viewpoint, and from a proximity to relevant areas of interest. Today I’ll share some ideas for making the properties enjoyable by the tenants, and still easy on the owners. The great room could use a fireplace but is otherwise cozy. People seem to like houses with a theme. At least I do. 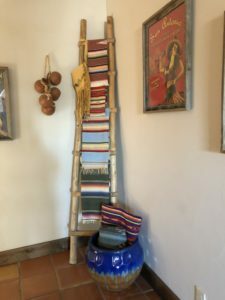 And one thing that drew me to Casa Santa Fe was its southwestern US decor. And let me tell you, these folks were consistent when they decorated this space. I can’t count the Navajo-style blankets in the space, and on top of that there are a lot of tile surfaces (also easy to clean! ), southwestern art, and things that look like animal skins. 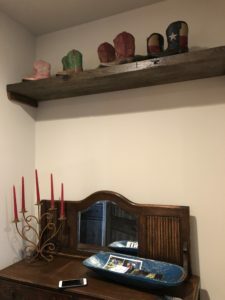 Open shelving and many southwestern decor items. The rustic furnishings are quite sturdy, which leads to low maintenance, vital for profit and convenience for the property owners. 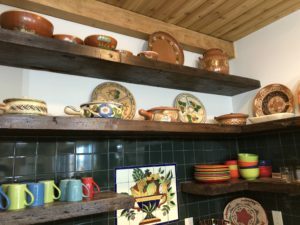 The open shelving in the kitchen displays even more southwestern decor, plus makes it easy for renter to find the plates and glasses. Smart. The beds look great with lots of pillows and blankets that match the theme and are sturdy as well. All the little boots in a bedroom. The decorator went all out in the bedrooms, too. The one where Anita is staying has the cutest collection of tiny cowboy boots in it, while my bedroom has lovely blankets stored on the wall (and a creepy dude painting). The big bedroom where our kids will go has crosses, including a cool tin one that lights up. None of the things they chose were expensive or precious, so they don’t have to worry about renters messing up antiques or anything. The rugs are from India, not Indians, and the posters are cool to look at, but not really old. One of my favorite rustic things is in, of all things, the toilet room. They use a barn-door with great character to hide the closet with all the cleaning supplies. Not having a door that swings open maximizes the use of all available space. Easy for the maid service, attractive for renters, which are both very important factors in a holiday rental. I like these symbolic controls. Also in the bathroom, don’t laugh at me, but I loved the shower control. 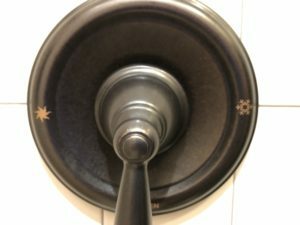 It doesn’t have H and C for hot and cold; instead it has a sun and a snowflake. That is sweet. And not biased toward English speakers. There is a stackable washer and dryer, which makes clean-up easy (and is convenient for guests that stay a while, like us). And all the sheets, blankets, and towels are dark gray. That makes them less likely to get all stained up, but also looks good with the decor. I’m keeping THAT trick in mind, for sure. 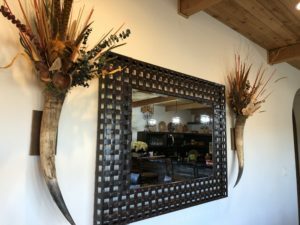 Lee’s favorite thing in the whole house is the horn vases. Poor bull. The dishes are brightly colored but do not all match. That makes dealing with breakage a lot easier. They can just get more colorful items in with similar shapes and sizes and they are good to go. Same with the glassware. Cheerful, but not all the same. I really like this, because I’ve been at places where everything matched, and there was obviously some stuff mssing. With the dishes and such, I was thinking that all white would be another option, or for a mid-century house, mixed cheerful patterns from that era (easy to find in thrift shops), and for older houses like ours, mixed old-fashioned china, perhaps all with flowers, or all with some other theme. My brain just keeps going and going as I think of more and more ideas. Lee’s started a list.